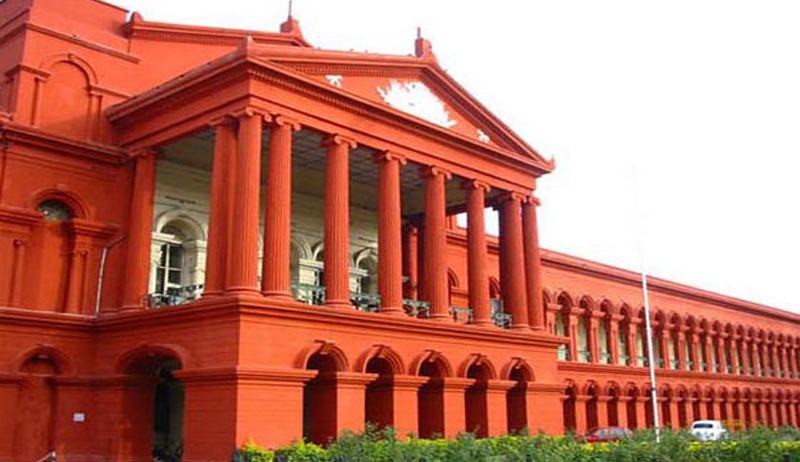 The Karnataka High Court has dismissed a group of petitions by students challenging their rejection for admission to law course on account of their ineligibility caused by qualifying degrees obtained through open universities or 10+2 certificates directly without foundation courses. The court affirmed the BCI’s authority for deciding qualification for admission to LLB, 3 years and integrated course. The court upheld the decision of the Bar Council of India and Karnataka Law University in not admitting the students who have not fulfilled the criteria provided under Explanation to Rule 5 as ‘sound and proper’ and ‘in accordance with law’. It observed that the explanation provided in the sub-rule (b) of Rule 5 of the Legal Education Rules 2008, makes it clear that applicants, who have obtained 10+2 or graduation certificate from open universities without having basic qualification, are not eligible for admission to the law course. The petitioners had challenged their rejection and contended that Section 49(1)(af) of the Advocates Act 1961, enables the BCI to frame rules and prescribe qualification for admission to law course, but it cannot decide the manner in which such qualification is acquired. They also claimed that the state government had issued a notification in January 2015, stating that students who have passed Class-12 directly are treated to have passed two-year PUC/12 Standard. They challenged the explanation (2) to Rule 5, and contended that the BCI is not justified in incorporating it. They put forth that such rules violate their fundamental rights granted under Articles 21 and 14 of the Constitution. Justice L Narayana Swamy, however, rejected the claims and stated that and authority of the BCI to regulate and control legal education, particularly with reference to entry of students into law course has already been affirmed by several high court rulings earlier. He further enunciated that the apex court had already declared that the BCI is concerned with the standard of legal profession and legal education in the country, and the universities and the state governments concerned will have to act in terms of the regulations set down by the BCI. With regard to the contention that the state government notification, the court stated, referring to a Supreme Court judgment, a notification has no statutory force and cannot override the rules statutorily made.